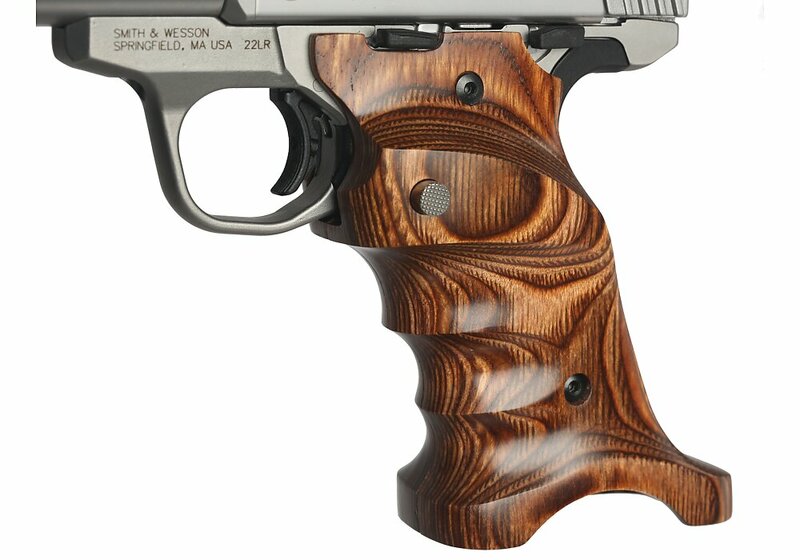 Laminated wood target grips feature thumbrest, heelrest and finger grooves. Designed to give the shooter a relaxed, steadier hold. CNC-machined from laminated wood and available in a variety of colors.